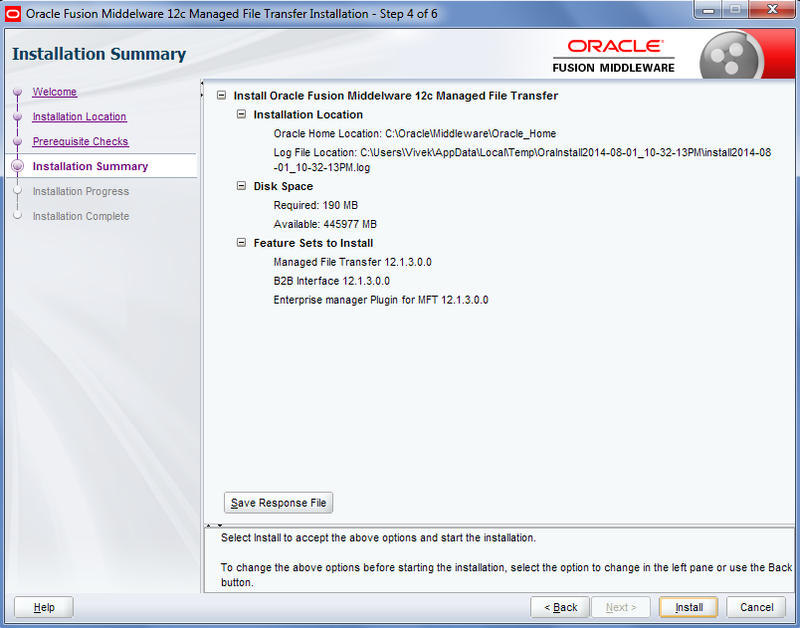 This is Chapter-1 of MFT installation guide. You need to fulfill all the prerequisites which are mentioned in Installation guide before you start with this post. In this post, we see how to install the Managed File Transfer. 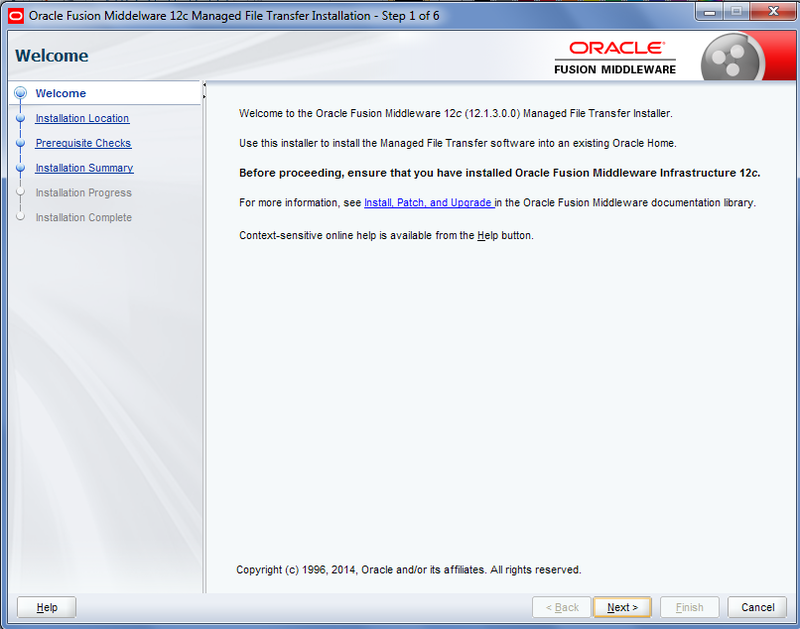 First of all, download the MFT installer from Oracle. Once you download it run the installer. 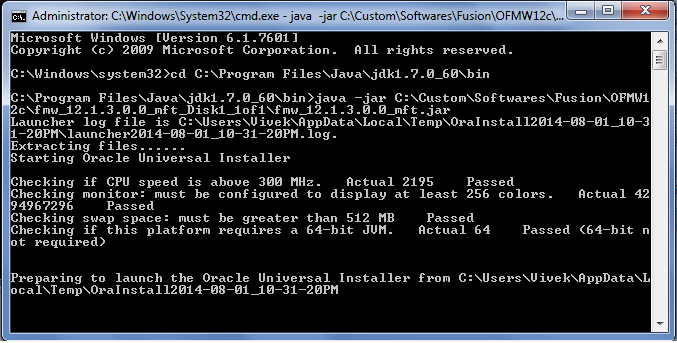 Note that it is executable jar so to run the installer we need to go to java bin folder and run this executable jar file from there using below command. This will launch the installer wizard. 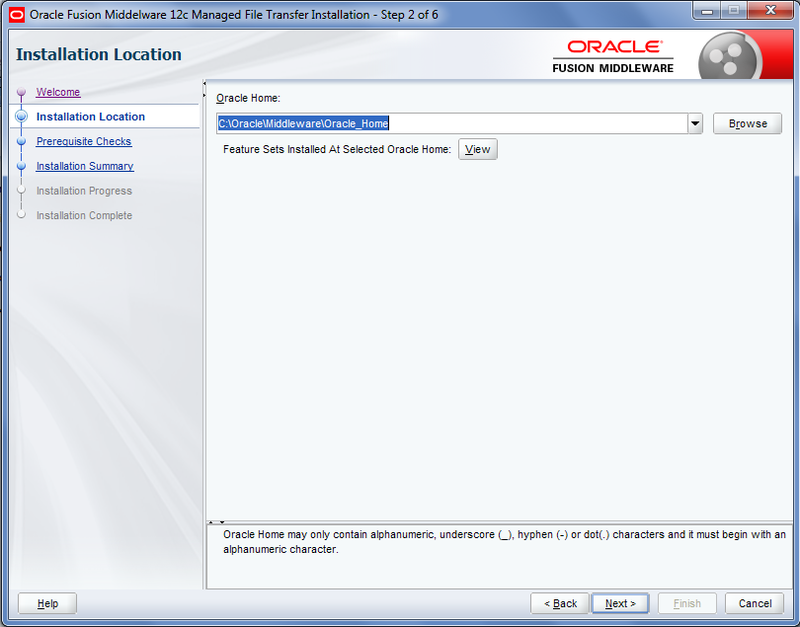 Choose already existing Oracle home path as we install MFT to already existing oracle folder. Wizard will perform prerequisites checks. Click on Install to install the MFT. Below screen shows the installation progress. Click on finish once installation is complete. 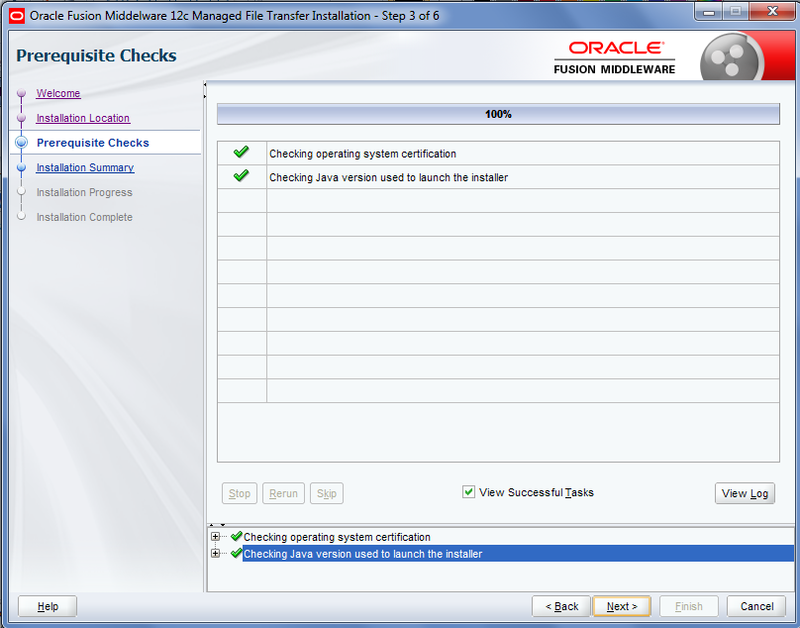 Now go to next Chapter which is Chapter-2 of MFT Installation guide. Can you please help me here ? 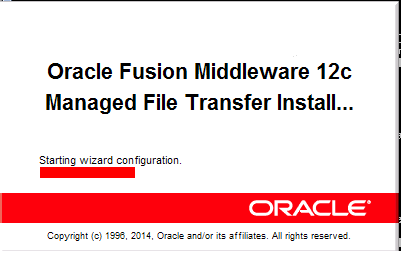 I am getting the same issue while installing MFT.Did you resolve the error? Even I am getting the same error. Anybody found solution for this?